Praise the Lord and Pass the Popcorn! 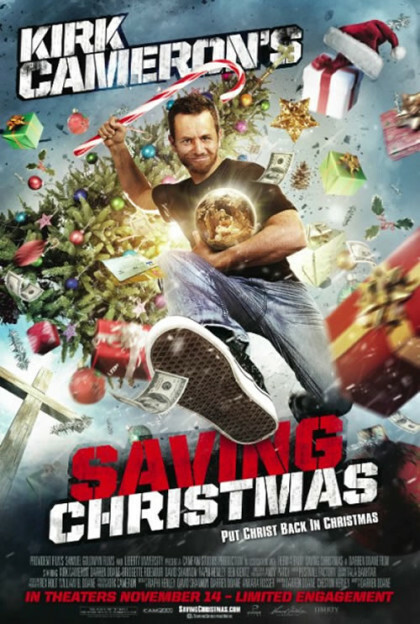 As Sarah Michelle Gellar’s Buffy the Vampire Slayer once said of home schooling, “It’s not just for scary religious people anymore.” The same could now be said of so-called “faith-based films,” a cinematic sub-genre once populated only by the scary religious likes of Kirk Cameron (star of the 2000 direct-to-video rapture tale Left Behind) and now populated by the Academy Award-winning likes of Nicolas Cage (star of the upcoming big-screen rapture tale Left Behind). Okay, so Nic Cage is scary, too, but not for religious reasons. Two of the most profitable films of the last year, the not-so-subtly titled God’s Not Dead and Heaven is for Real, fall squarely in the faith-based camp, the latter starring a onetime Academy Award nominee (Greg Kinnear). Two-time Oscar winner Russell Crowe’s Biblical epic Noah was marketed to pious audiences and surpassed $100 million domestically, and now two more morality plays, When the Game Stands Tall and The Identical, have flooded cineplexes in the waning days of summer. You’ll be forgiven for not knowing that either of these movies is religiously oriented. The God angle is played down in the promos, which make them look more like a secularly inspirational sports drama and a rock ‘n’ roll faux biopic. Still, there are clues to the films’ true messages: When the Game Stands Tall stars Jim Caviezel, who embodied the title role in Mel Gibson’s The Passion of the Christ, which kicked off this spiritual box-office revival, and the upper-case “H” in The Identical‘s tagline, “If He is in your dreams, nothing can stop them,” signals there’s a higher power at work. 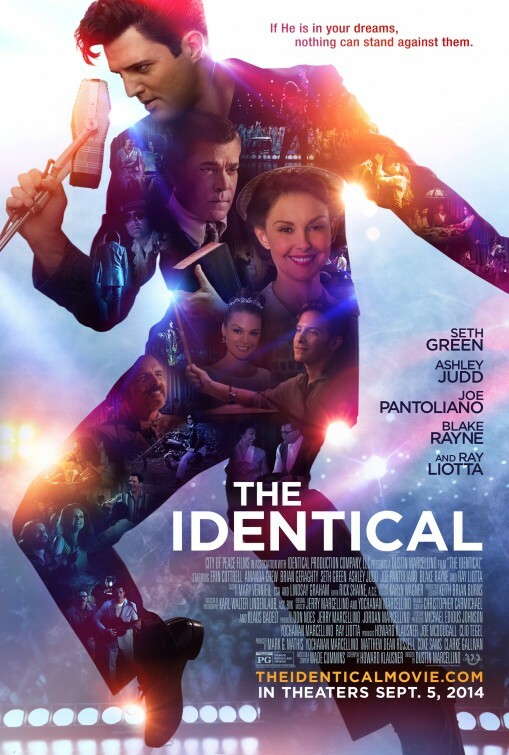 Despite its awkward title and muddled trailer, The Identical takes off from an intriguing premise. What if Elvis Presley—or, as he’s called here, Drexel Hemsley (played by real-life Elvis impersonator Blake Rayne)—had an identical-twin brother, Ryan, from whom he was separated at birth? (In real life, Elvis’ twin brother, Jesse, was stillborn.) And what if that sibling were raised by a tent-revival preacher (Ray Liotta, for once playing a good fella instead of a GoodFella, and as far as he can get from his unholy role in Sin City: A Dame to Kill For) and his submissive wife (Ashley Judd)? And what if that pastor’s kid felt torn between his dad’s desire for him to spread the Word of the Lord and the burning (in hellfire?) love he feels for Drexel and his music. That’s right—it’s the King of Rock ‘N’ Roll vs. the King of Kings! Yes, The Identical frequently gets preachy—we’re told that “in obedience with the Scriptures,” Ryan and Drexel’s dirt-poor parents “went forth and multiplied” during the Depression. The movie goes out of its way to welcome Jews into its kingdom of Heaven: The boys’ mom is a Chosen One, and there’s even a bizarre mention of Israel’s “modern miracle” victory in 1967’s Six Day War. Ryan’s body-shop boss (Joe Pantoliano, veteran of another old-time rock ‘n’ roll drama La Bamba) is also a card-carrying mensch who uses the word “farklempt,” which apparently was not created by Mike Myers’ Linda Richman. Who knew?